VANCOUVER (miningweekly.com) – Little-known exploration and development company Gowest Gold is preparing to become the newest gold producer in the legendary Timmins Gold Camp, which, since its discovery in the early 1900s, has produced almost half of all the gold mined in Canada. 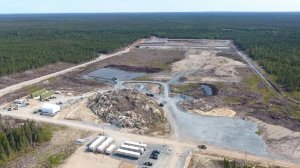 The TSX-V-listed company is moving its North Timmins gold project – host to the Bradshaw deposit – through the permitting process, with a view to start commercial production during the first quarter of 2019. It expects to ship first ore to a nearby plant before the end of the year as part of a 30 000 t bulk sample. Gowest CEO Gregory Romain told Mining Weekly Online in an interview that the company is unlocking an opportunity in the Timmins Gold Camp by being one of the first to look into the potential of developing the refractory and sulphide ores in the region, something most other district participants overlooked in their quest for the “low-hanging fruits” that made the region famous. “We are not dressing the project with the goal of selling it on. With management holding a significant stake in the venture, we intended from the outset to create a cash-flowing mine,” he said. The North Timmins project includes the company's wholly owned Bradshaw gold deposit, which was formerly known as the Frankfield East gold deposit. Gowest’s 10 942-ha land package is located near Timmins, Ontario – Romain’s home town. He said that Gowest’s primary objective is to advance its Bradshaw gold deposit to development and then to increase the resource through exploration of the prospective North Timmins property. The main focus is on exploring and evaluating its Bradshaw gold deposit, which currently represents about 50-ha of the entire property. Gowest is exploring further gold targets on the remainder of its land package. Gowest started underground development at the Bradshaw mine site on May 11, when the first blast was performed at the portal, which is located at the east side of the outcrop. To date, the company has driven about 790 m of the main decline to the south and has reached the first mineralised zone to begin the bulk sample programme. Development continues on the 45-m level, where cross cutting of the ore was also reported to be progressing well. The mine plan includes continuation of the ramp down to the 60-m level. Site infrastructure construction also remains on schedule and as planned, Romain stated. Crews have been working on the decline in two shifts since the middle of May. Gowest had in June entered a definitive agreement with Northern Sun Mining to acquire a 50% interest in a joint venture company that will own and operate the nearby Redstone Mill. Romain said he does not expect any delays in being able to use the mill to process the ore from the bulk sample once it arrives on site before the end of the year. Meanwhile, the company has recorded steady progress at the Bradshaw site, with the water treatment plant being delivered in late August. The remaining pond work was completed in September, with commissioning also now completed. Also during September, the company took delivery of the X-ray ore-sorting unit and completed its setup. The unit, supplied by Steinert US, will be used to reduce processing costs by increasing the mill feed grade and reducing the tons required to be milled by Gowest. The proven ore-sorting technology is expected to double the Bradshaw grade to 10 g/t. During the three months ended September, Gowest had completed 23 holes for a total of 2 097 m of ramp infill drilling and metallurgical test holes in the area, where the bulk sample will be collected. All holes in the drill programme intersected gold mineralisation. The advanced exploration drill programme was designed to refine the geological model and the stope design in the upper portion of the Bradshaw deposit. Romain pointed out that there is significant exploration potential propertywide. The North Timmins land package generally surrounds, or is contiguous with, the Frankfield property and includes exploration interests along the largely undeveloped Pipestone Fault area of the Timmins Gold Camp, including a contiguous block of claims extending about 18 km along the Pipestone Fault, south-east from the Bradshaw gold deposit towards the Clavos deposit. Romain noted that the company regularly evaluates the potential to increase its holdings in the vicinity of the Pipestone Fault, among other acquisition opportunities. He explained that the Gowest team had painstakingly put together the current North Timmins land package between 2009 and 2016, with a preliminary economic assessment in 2011 defining the Bradshaw deposit for the first time. That work was since followed up by a prefeasibility study (PFS) in 2015. The team managed to outline a 1.2-million-ounce resource in about six months, comprising very shallow mineralisation when compared with other producing and historic mines in the region. Given the lengthy operating lives of some comparable historic mines in the Timmins Camp, it multiplies the North Timmins property’s prospectivity. The 2015 PFS outlined a 40 500 oz/y operation over an 8.5-year mine life, producing gold at an all-in sustaining cost of $891/oz. The PFS calculated a pretax net present value, applying a 5% discount rate, of $39.8-million, and an internal rate of return of 27%. The preproduction capital expenditures were pegged at about $21.5-million, with sustaining capital being $21.4-million. Romain explained that, since then, the company had made progress to optimise the project economics, including a 1.3 km extension along strike and at depth to more than 1 km. Exploration work had also intercepted additional gold next to the Bradshaw deposit and remains open laterally and at depth. The company had also reported strong mineralisation intercepts in several nearby drill holes, located outside of the current resource estimate. Next year, Gowest will focus on converting the Sheridan and Dowe zones to resource status, with the focus turning to the Roussain zone during 2019. Romain believes that the various satellite deposits hold the potential to reshape the Bradshaw operation into a 100 000 oz/y mine, which will warrant the acquisition of an autoclave to improve recoveries. The company is planning an exploration programme focused on refining drill targets; deploying high resolution; deep seeking; and employing induced polarisation ground geophysics on the properties held in the joint venture, with project generator Transition Metals. Gowest also remains open to evaluating other potential opportunities to enhance shareholder value.